One size doesn't fit all. 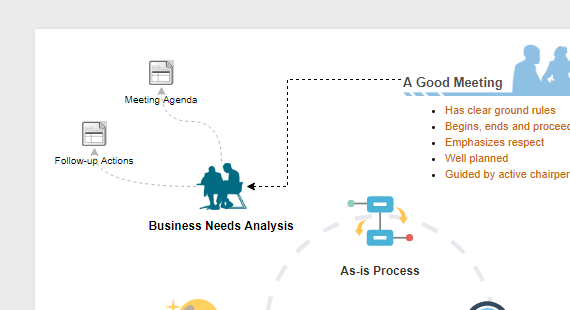 For business process reengineering, we know that you need a customized solution for a better fit. 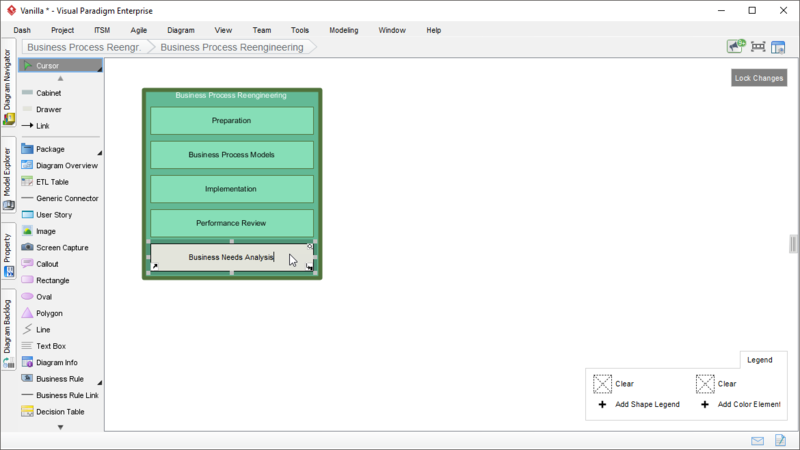 Business Process Reengineering Canvas is a one-page process management tool that lets your team design, plan and assess BPR within a process canvas. 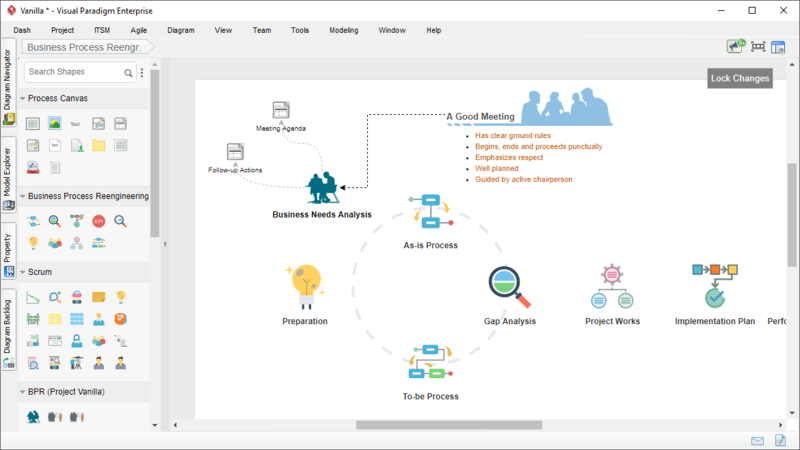 The canvas is fully customizable, which allows you to add additional activities (e.g. 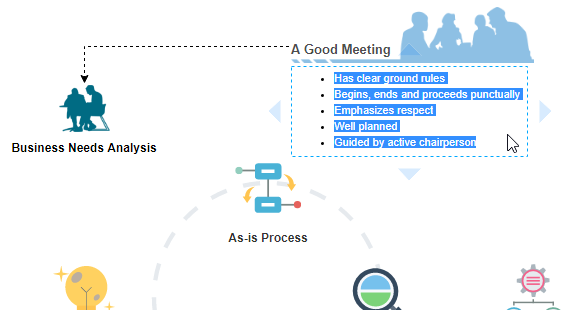 certain meetings) and process deliverable (e.g. domain specific logs) into the process flow, fitting your specific company or project needs. 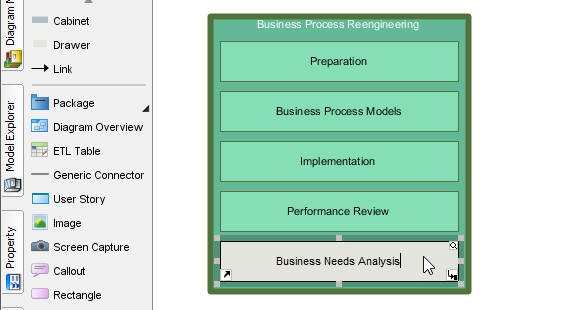 Define your own process work items and include it in the BPR process canvas. 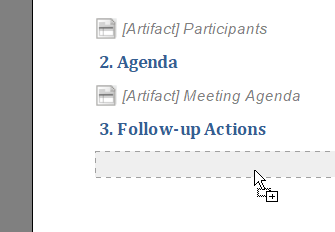 For example, you may add a work item for a particular stakeholder meeting. 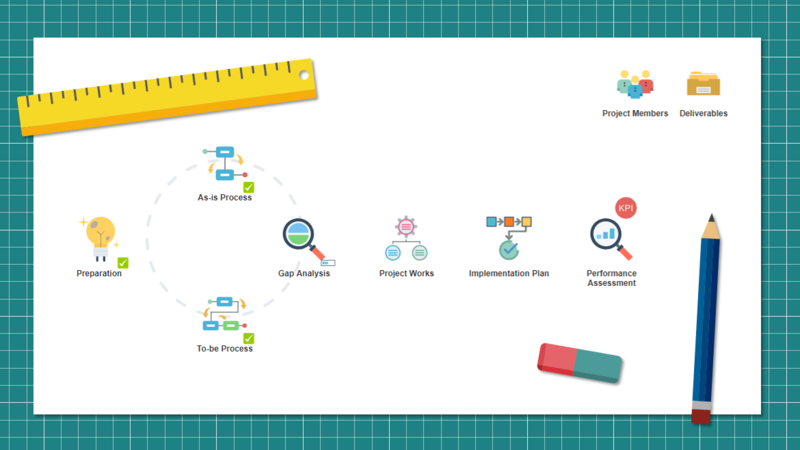 For each work item, define its steps and the actions to perform. Over hundreds of actionable items are available for use and customization. 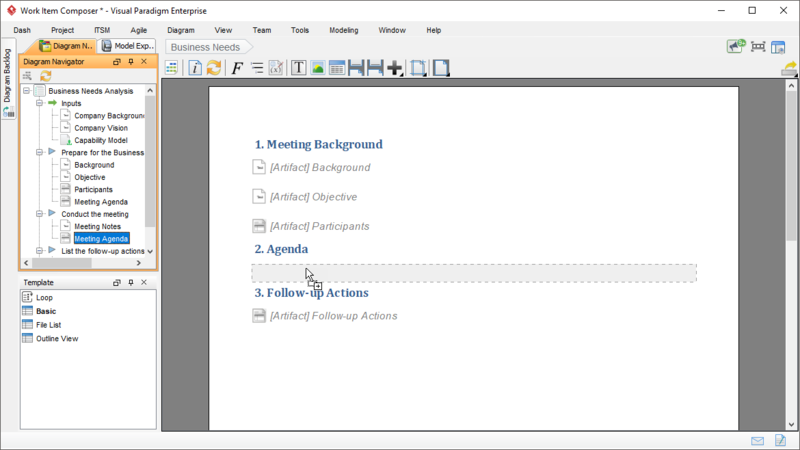 Information entered under work items can be output as reports. 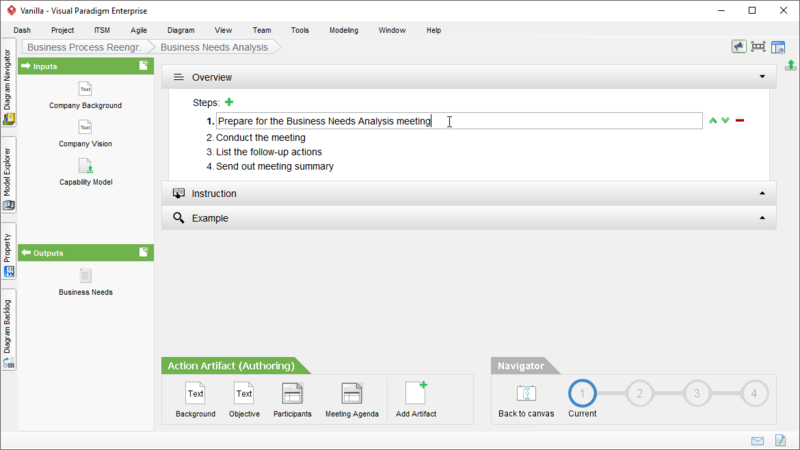 You can easily build process reports with the drag-and-drop Doc. Composer. 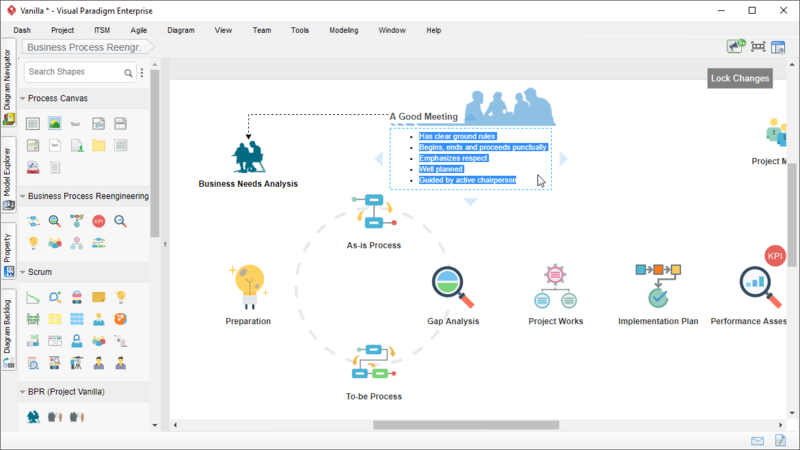 Customize the flow of business process reengineering by including additional work items or editing those existing ones. 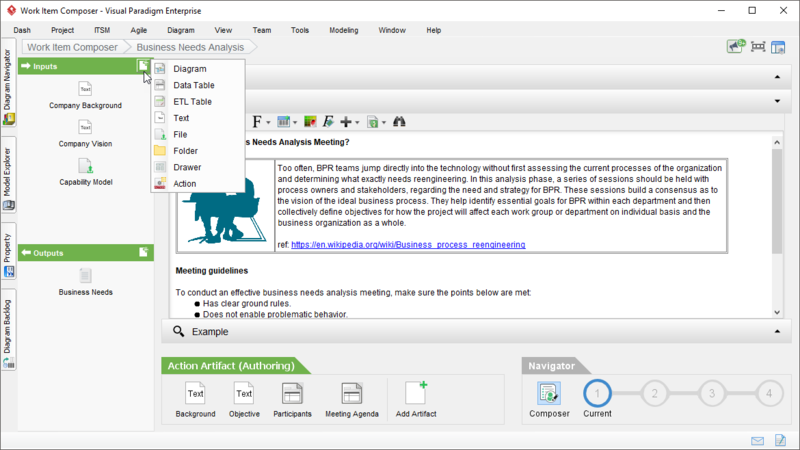 The editing mode of process canvas facilitates easy and flexible editing of process content. 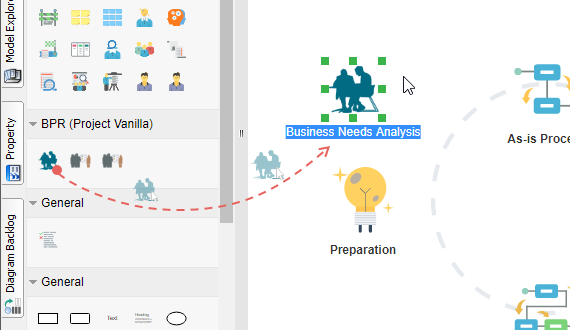 You can add custom images, text and URL into the canvas for annotation, explanation and decoration purposes. A wide range of editing and formatting functions are provided for you to edit those custom content. You can expose shortcuts for any action artifacts within a work item. 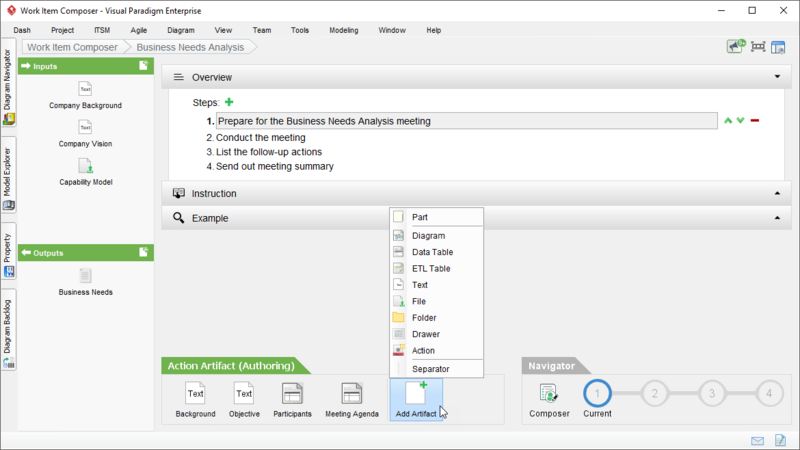 The use of shortcut allows quick and instant access to a particular artifact without the need to dive into a work item and navigating through the steps. 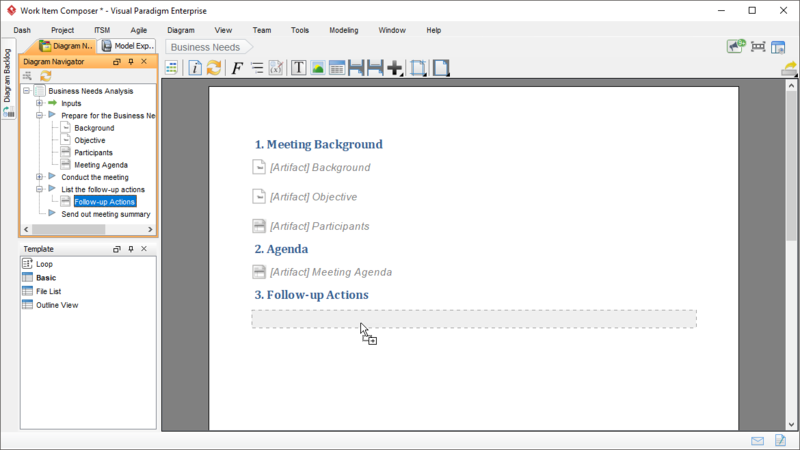 And like work items, shortcuts can be resize and repositioned freely. Icons can also be set to shortcuts. Work items is the most important part of a process in that they represent the actual activities to perform and the information required under the process. 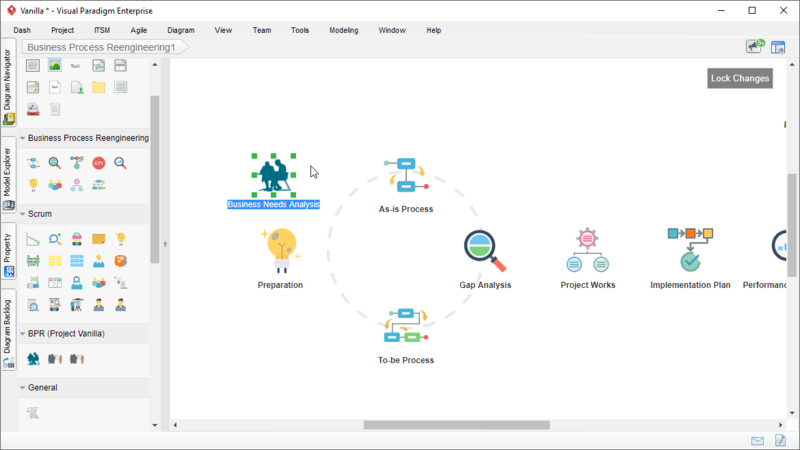 The Work Item Composer features an array of authoring features that facilitate the development work items both for instructing process workers and for collecting the information required by the process. 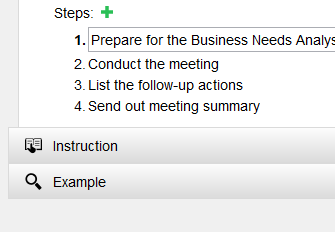 Provide guidance to process workers on how to complete a step. Document the instructions and include examples. 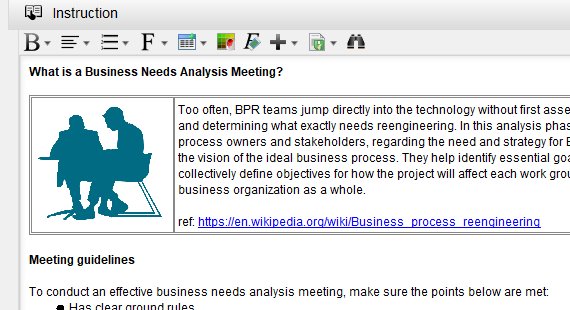 You can write with rich text and include images and URLs in the content. Sometimes, a work item involves receiving inputs from a user, does some work on or based on the inputs, and returns the results as outputs. You can define inputs for your work item. Depending on the kind of input defined, it may be a reference of output produced by another work item, or a request of information to be provided in runtime. 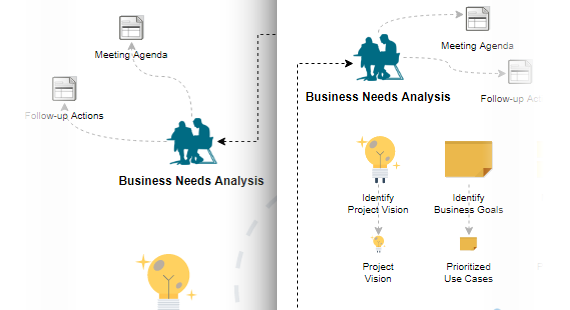 Besides process execution, you also can produce reports with the information collected under the work items. The drag-and-drop Doc. 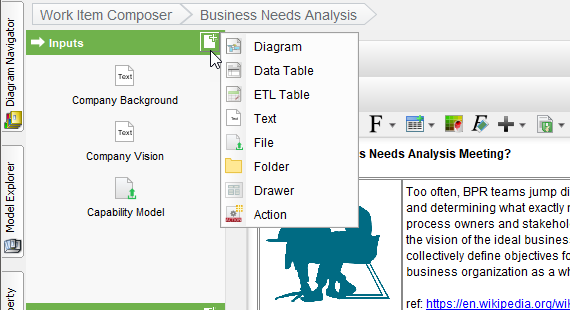 Composer allows you to build reports with the data you need and in the order you preferred. 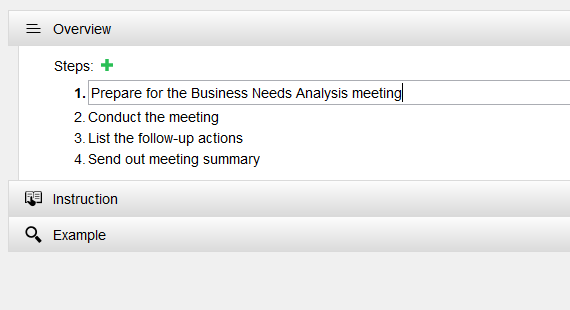 In runtime, when the information required by a report is provided, a Word report will be automatically generated. Doc. 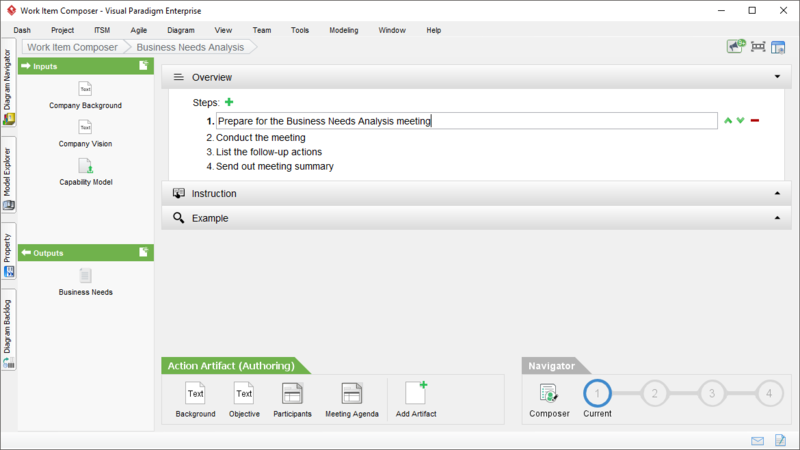 Composer is a powerful report builder designed for custom report production. 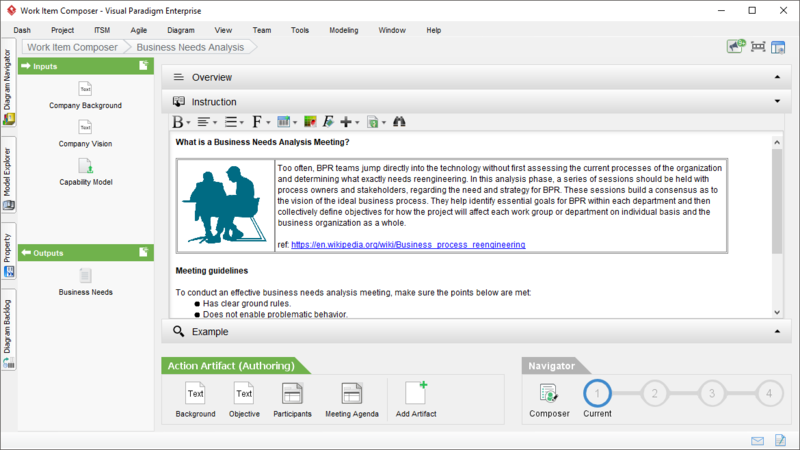 The report builder consists of a document editor and a list of process work items and artifacts. 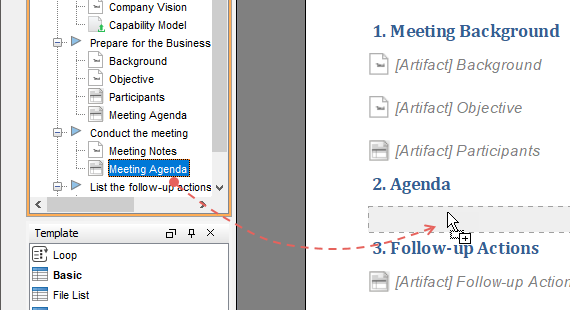 To develop a report, simply drag the artifacts onto the document in the order you preferred, and that's all! 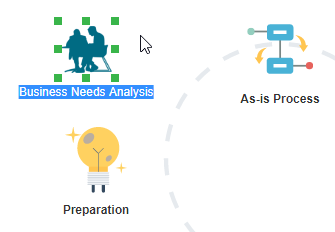 Report development has never been easier. Work items are managed in a central repository. 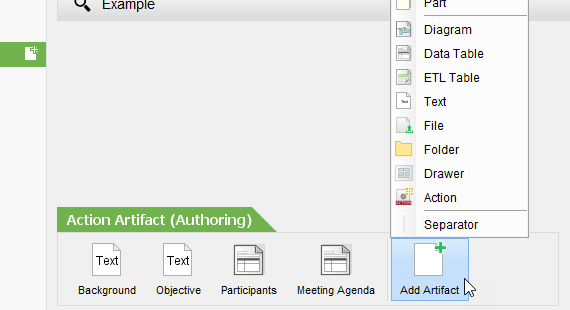 You can keep a single set of work item definition and reuse them in multiple processes. 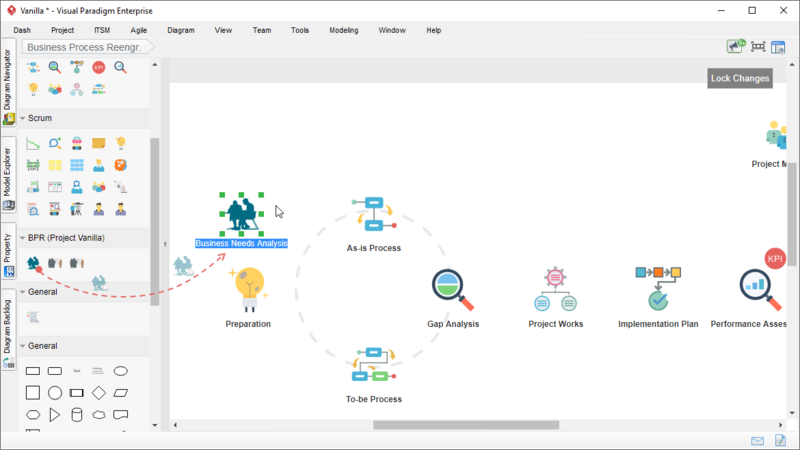 Changes made to the work item can be easily applied to processes in few clicks.